Would like to first and foremost apologize for the poor quality of the photos. The only camera I’ve had for the past day was my phone and since I wasn’t feeling well, this was the best I could do. My parents flew down to Singapore and the banks were ever so amazing enough to arrange us a night stay at Mandarin Oriental along with Katy Perry’s tickets. I got my room upgraded for free! So that’s always a win. The view was AMAZING. Imagine having the flyer, MBS and Garden by the bay as a night view to coax you to bed. 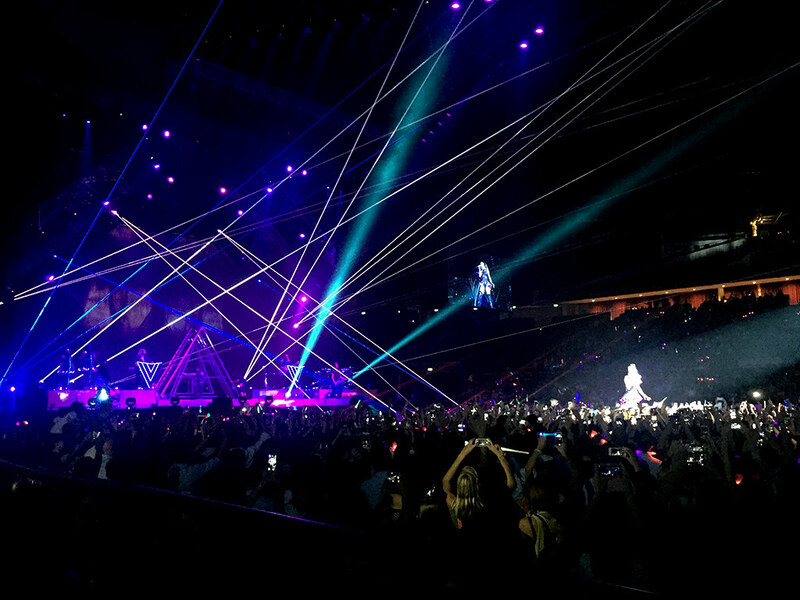 Had the much luck to watch Katy Perry Live too that night, amazing seats，amazing concert, amazing way to end night. Woke up and headed down for breakfast at Meltz.The breakfast spread at the hotel was really much to rave too! They had selections from the asian to western selection and I really did quite enjoy their hash browns and their own made yoghurt!